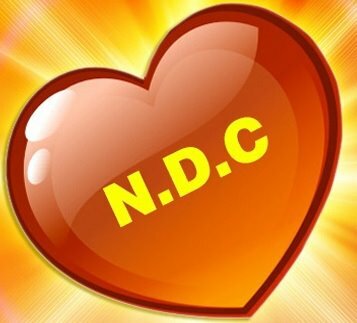 The National Democratic Congress (NDC) elected a strong, balanced and competent team to serve as its new executive body, when the party held its historic 25th annual Convention on 2 February 2014, at the Westerhall Secondary School, St. David. The highlight of the election of Officers was the election of Senator V. Nazim Burke, as the new Political Leader of the party, replacing outgoing Political Leader and former Prime Minister, Thomas Thomas. Senator Burke, who previously served as the Deputy Political Leader of the Party, was chosen as the man to lead the party as it moves to rebuild its internal structures and external relationships in the aftermath of the recent general elections. The new Political Leader will be supported by Mr. Joseph Andall, the newly elected Deputy Political Leader; Party Chairman, former Tourism Minister Dr. George Vincent; former Information Minister Mr. Glen Noel as Deputy Chairman; General Secretary, Mr. Patrick Simmons; Assistant General Secretaries, Phillip Alexander (East), Shane Ross (South) and Raphael Paul (West, including Carriacou and Petite Martinique). Former Party Chairperson, Mrs. Franka Alexis–Bernadine was elected to serve as the new Public Relations Officer (PRO), with Mr. Randall Robinson as her Assistant PRO. Business Woman Mrs. Merle Byer was elected Treasurer of the party, replacing newly minted businessman Mr. Phillip Telesford. Long-time Party member and technology expert Vincent Roberts was elected Recording Secretary with Mrs. Vilma Hamilton as Assistant Recording Secretary. Trade Unionist Elliot Bishop is the Party’s New Labour Relations Officer, and Floor Members are Former Health Minister Ann Peters, Calypsonian Elwin ‘Black Wizard’ McQuilkin and Community Organizer Petra Williams. As part of the day’s proceedings, a special citation was done of former Political Leader and former Prime Minister Tillman Thomas, and a plaque handed over to him in recognition of his outstanding service to the party and country. Mr. Thomas served at the helm of the NDC for more than 13 years. It was under his stewardship that the party strengthened its international reputation for fairness, transparency, accountability, respect for institutions, respect for the rule of law and Good governance. The convention culminated in a massive rally that saw thousands of party faithful converge on the Westerhall playing field to hear from their new leadership on the way forward for the party. The National Executive Council joins the new Executive Officers of the party in expressing deepest appreciation to all its members and friends for their support and well wishes. We express the hope that that support continues as the party strives to strengthen itself and continues the fight for the betterment of the people of Grenada, Carriacou and Petite Martinique.